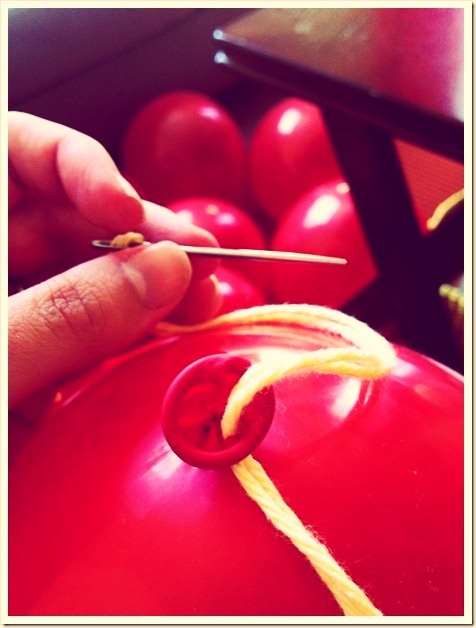 blow up your balloons and get a needle and yarn! 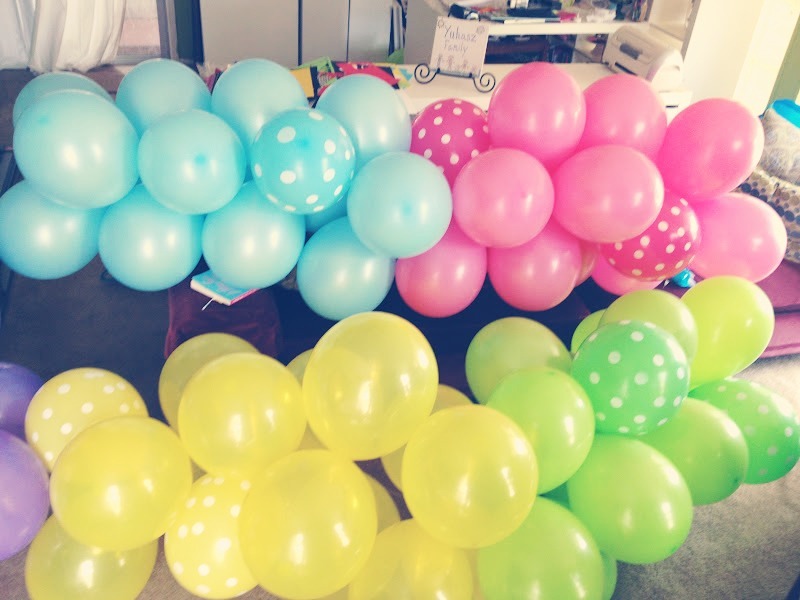 first your going to poke through the part of the balloon that the picture indicates, and then you will just continue to thread the balloons onto the yarn like beads. 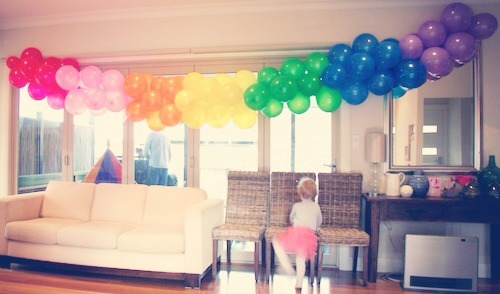 to make your garland look like the picture you can also just thread together four balloons at a time, and then repeat with four more and then at the end like them up and run a piece of yarn through them! 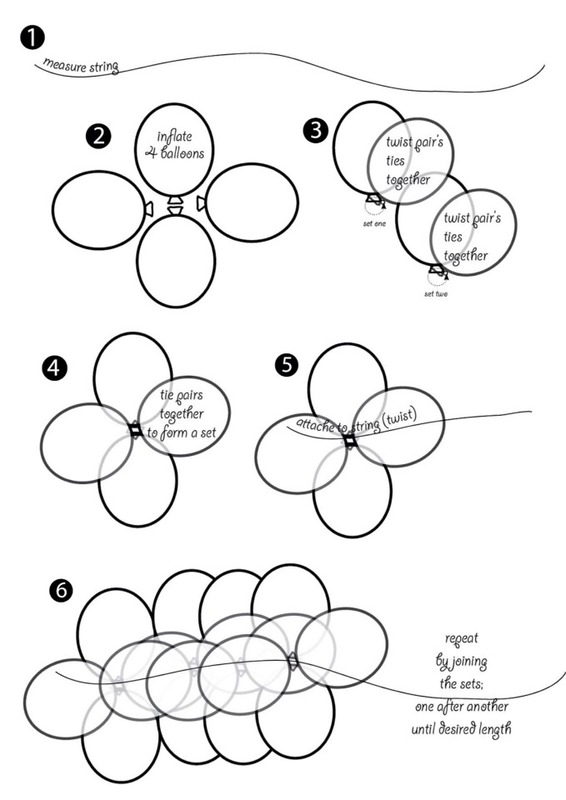 what I was saying in the last step, except for in the picture the just tied the balloons together, which is also and option, but wold probably take more time.